The admission in MA (English) for each academic year usually starts in the first week of July through Online Centralized Admission Process conducted by the Education Department, Chandigarh Administration. The programmme has semester system and admission is given on the basis of counselling conducted at the Institute. The Fee and other rules are as per Panjab University Guidelines. The Institute follows the Academic Calendar of Panjab University. Counselling for MA English Is going on at RIE. With Late fee: 17th August 2018. Late fee with VC’s permission: 4th Sept 2018. 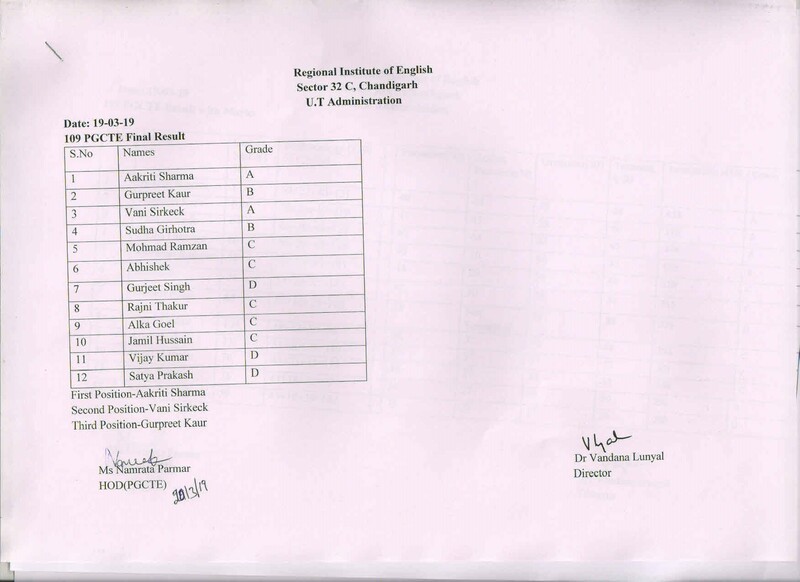 Candidates are required to bring all their testimonials from class Xth Onwards for counselling.